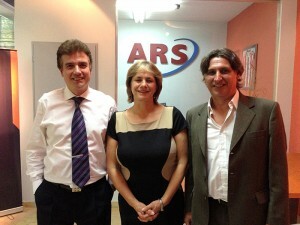 Allen & Heath has appointed ARS as its exclusive distributor in Argentina. Established for 12 years, the company already distributes leading brands, such as Turbosound, Sennheiser and TC Electronic. "ARS is a profitable and healthy business operating in a tough financial climate. The company has great sales and support networks in place, and are technically very proficient. ARS complements the A&H brand well and we are looking forward to working with the team," explains A&H sales and marketing manager, Debbie Maxted. 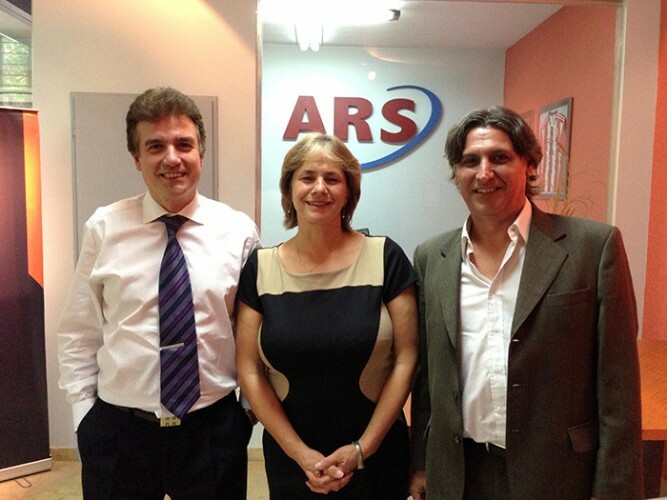 To mark their appointment, ARS are planning to host various workshops, seminars and training events in all of the major cities in Argentina throughout the year. "We are very pleased to represent Allen & Heath, one of the most prestigious British sound console manufacturers. It is a great honour to have been selected because Allen & Heath is a world-leading brand. The product range is very diverse and complements our other brands, plus the addition means we can now offer a whole audio package from microphones to mixers. It is our pleasure to represent Allen & Heath in Argentina and we are certain that we are going to help the brand enter into a new era of prosperity and market share in our country," comments ARS sales director, Mauricio Diz. In picture: A&H’s Debbie Maxted (centre) with ARS’s Ricardo Pousa (left, managing director) and Mauricio Diz (sales director).